On November 27 at approximately 1:53 pm CST, NASA’s latest mission to the Red Planet touched down softly, making it the eighth mission to successfully reach the surface of Mars. This latest spacecraft, named Interior Exploration using Seismic Investigations, Geodesy and Heat Transport, or InSight for short, is a primarily geophysical mission with a focus on Mars’ deep interior. Project scientists hope to use the lander’s sensitive seismometer to constrain important physical parameters, like the size of the core, up to 10x better than previous estimates, providing much needed constraints on the origin of Mars. Past missions have proven just how hard it is to deploy a seismometer on the Martian surface as it is difficult to insulate the sensitive detectors from other sources of vibration, like the wind and the spacecraft itself. 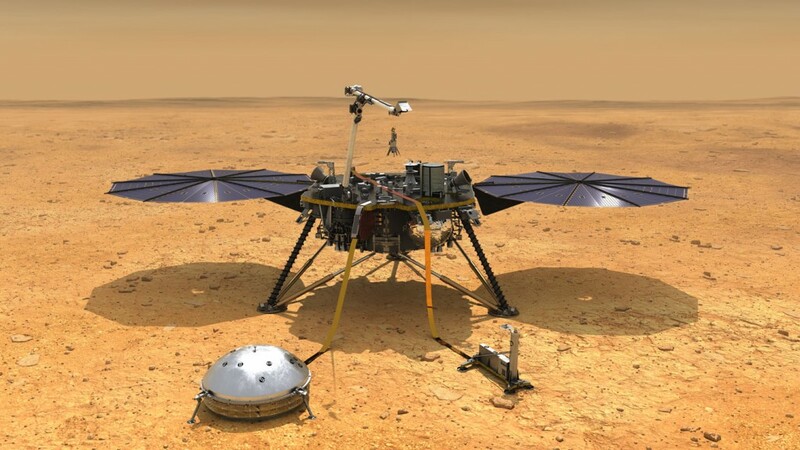 Over the next two or three months the InSight team will be deploying the scientific package, including the seismometer, hoping to be the first team to successfully use seismology to measure the Martian interior. To read more about the mission, including the rest of the instrumentation package, visit the mission homepage at https://mars.nasa.gov/insight/.